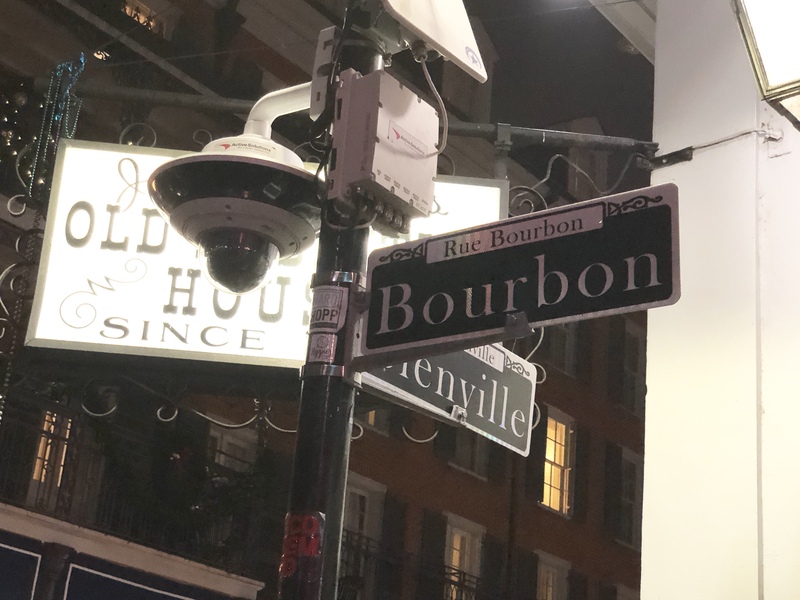 Dinner time and that means Seafood in NOLA. 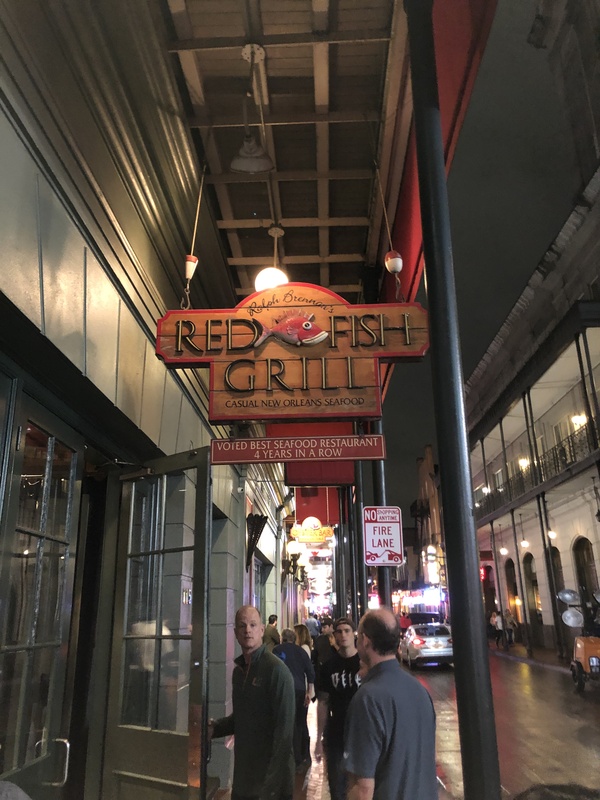 We chose the Red Fish Grill, right on Bourbon Street. It’s busy inside! 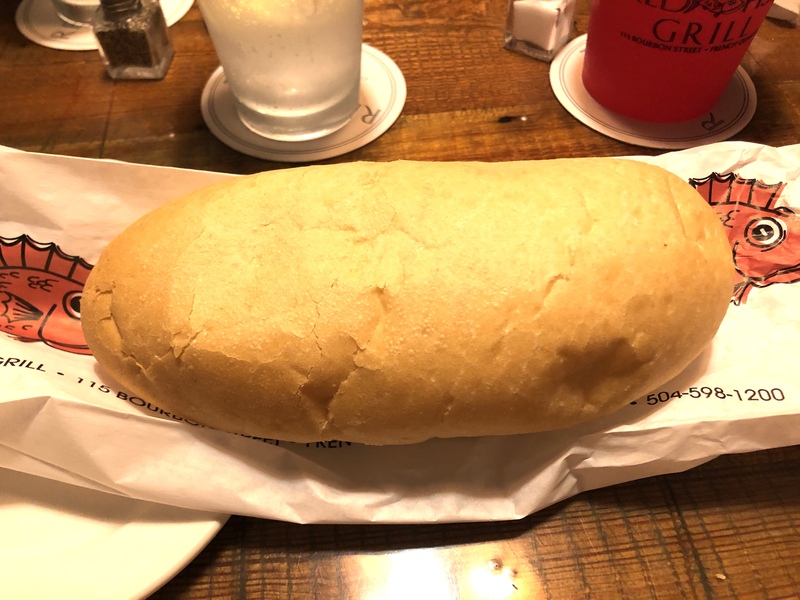 A look at the menu Bread is included and packaged differently Raw Oysters – what else in NOLA? BBQ Oysters. Definitely different, these are more like Buffalo style to be honest A Wedge Salad for our greens! 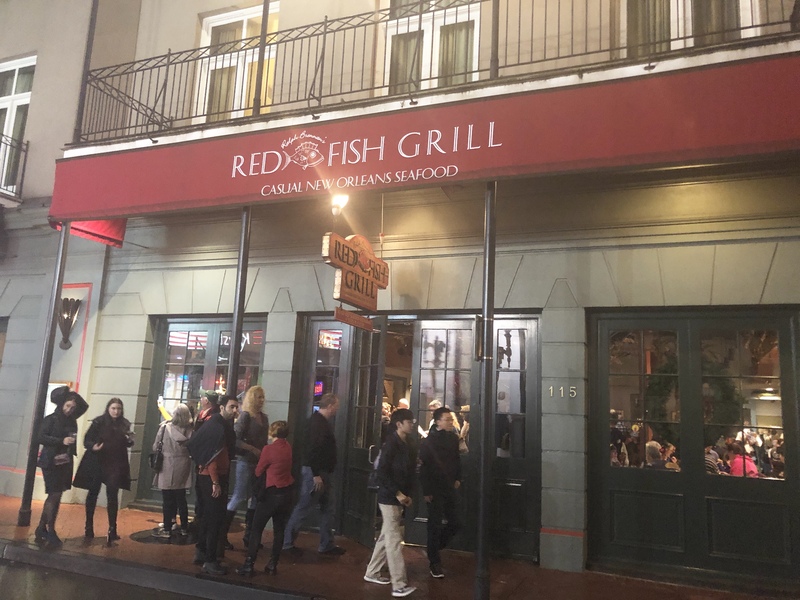 Grilled Mahi Mahi Crab Cake Red Drumfish with Crabmeat on top A Black Drum with Crabmeat on Spinach Some Tasso Fried Rice A nice meal in the French Quarter! 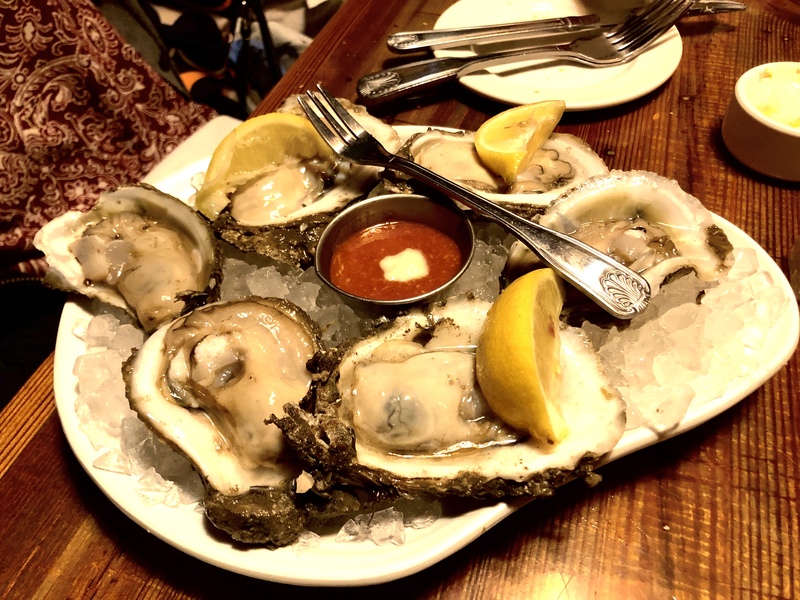 Posted in Crab, Fish, New Orleans, OystersTagged Crab, Fish, New Orleans, Oyster, OystersBookmark the permalink.